Do you like what you see in this photo? 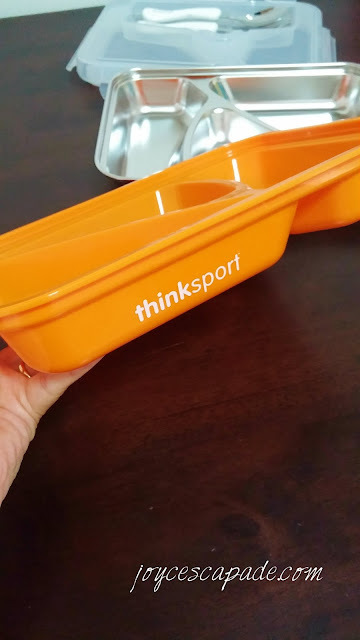 This is a Thinksport GO2 Travel Container. I prepare my toddler's breakfast before he wakes up, pack them nicely in different compartments, and wait until he wakes up before I present this new meal container to him. I'm sure he will be surprised. Before I show you what happens next, let's take a closer look at this nifty pantry and travel gadget. This is how the container looks like before it is opened up. Thinksport products apply strict material standards. Thus, this GO2 Travel Container is free from phthalates, BPA, BPS, PET, lead, melamine, nitrosamines or biologically harmful chemicals. More about this later. 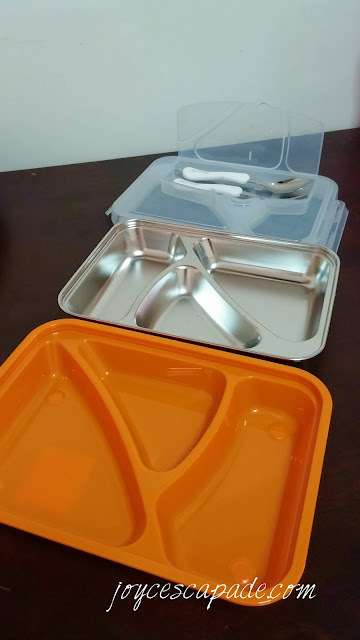 This is how the container looks like after it is opened up – the orange polypropylene outer casing, the stainless steel inner plate, and the lid complete with a pair of fork and spoon. This is the outer casing, very sturdy and well-designed. You will see later how the stainless steel inner plate fits into this outer casing nice and tight. The GO2 container has an anti-skid design, look at that four little stars at the four corners. Why? Quoting Thinksport, "Because nobody wants their meatballs on the floor." This is so true and especially true if the container is handled by young kids. 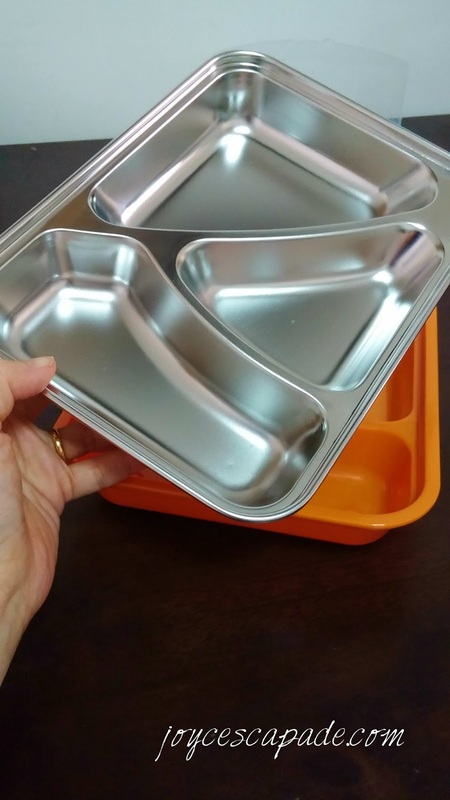 This is the stainless steel inner plate, large enough to make it for us moms to fill it up with different types of food with appropriate portions. This is a very good feature as one won't over-eat when their meal is packed in this way. 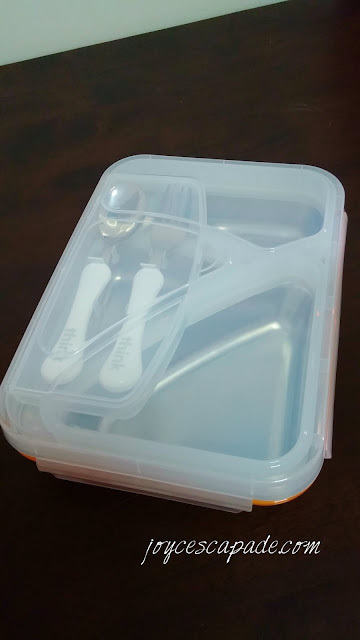 I'm actually thinking to pack my lunch to office in this container. Another plus point, this inner plate is designed to be removed for easy cleaning. You can see how the stainless steel inner plate fits into the outer casing nice and tight. 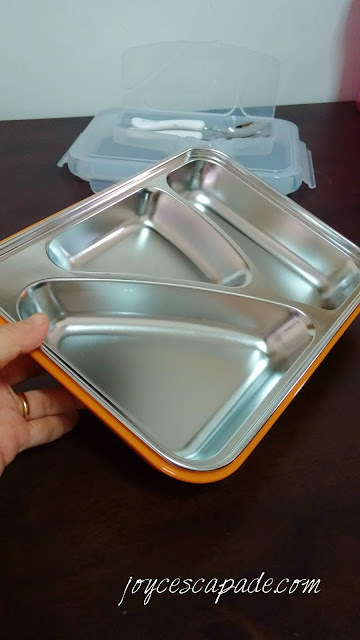 This double layer design is very useful because it can keep food, especially soups or stew-y kind of meals warm for slightly longer. 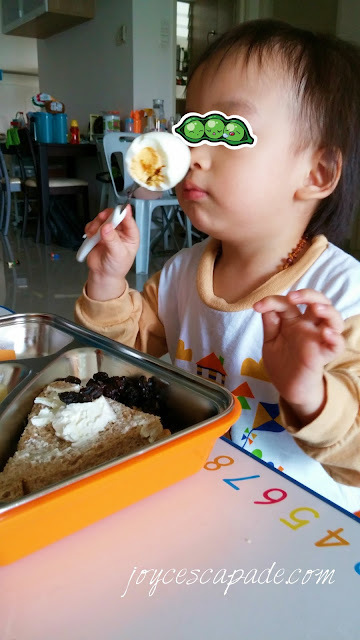 This is a good feature for kids who tend to take longer time to finish eating their meal. Cool! 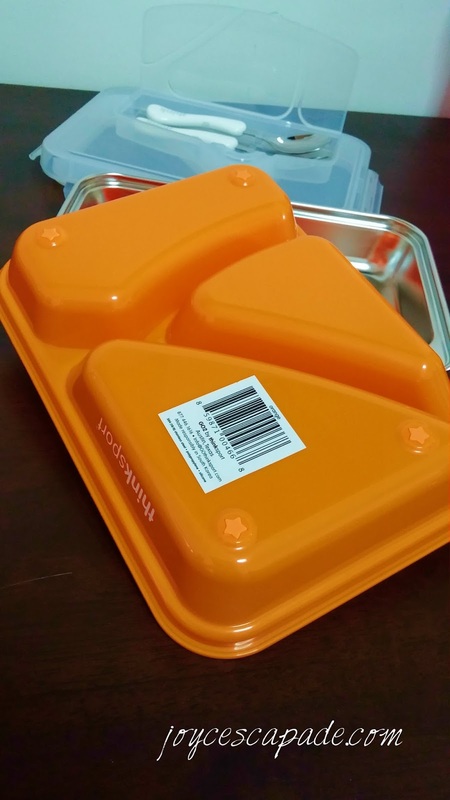 Another point, you can easily fill the inner plate with hot food without worrying that the container will become too hot to handle because the outer casing will prevent the heat from scorching your hands. 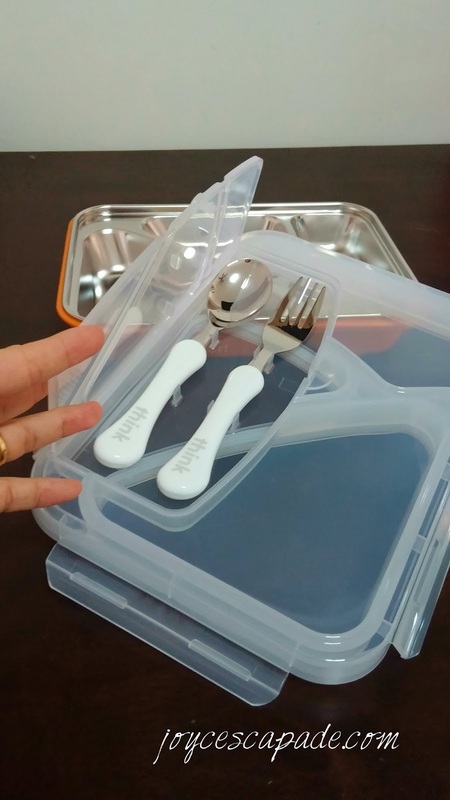 The GO2 container also comes with a pair of stylish, ergonomic fork and spoon that fits easily and tightly into its own compartment. The clear top makes it obvious that they are there. So, you don't have to worry about forks and spoons getting lost during travel. This is a cool idea. Now I don't need to pack them separately in another pouch and end up couldn't find them anywhere when I need them urgently. Haha. 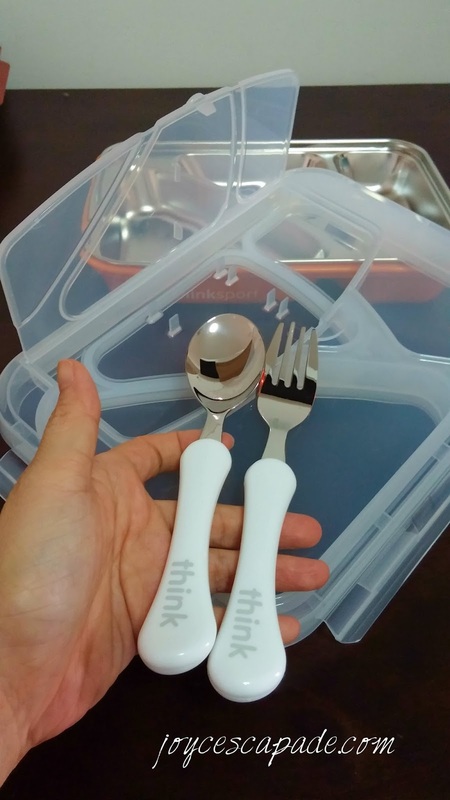 Lastly, this is the most important feature of the Thinksport GO2 Travel Container. 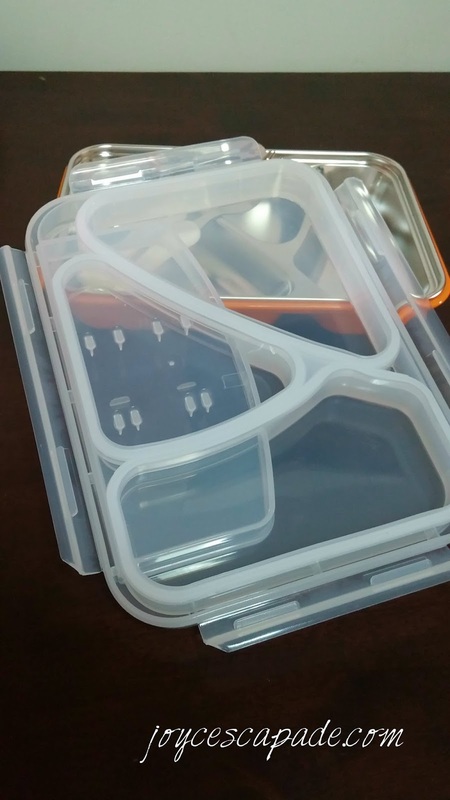 Unlike many other lunch-style boxes, the GO2 container seals off each compartment. You can literally fill each compartment with different colored water, shake it and not have the colors mix because there is an embedded silicone matrix to seal off each area completely. You won't get your food mixed up ever again. I for one, never ever like my fresh fruit cuts tainted by chicken curry or my cheese sandwich soggy from yogurt, etc. 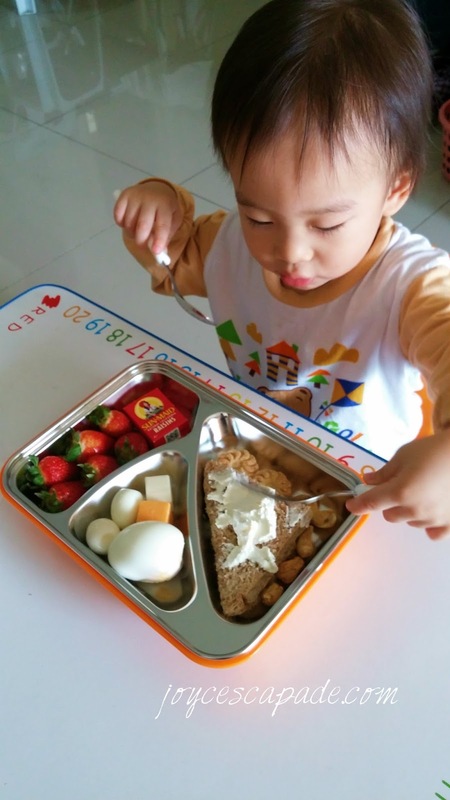 Now, let's come back and see how my toddler enjoys his breakfast in his GO2 container. 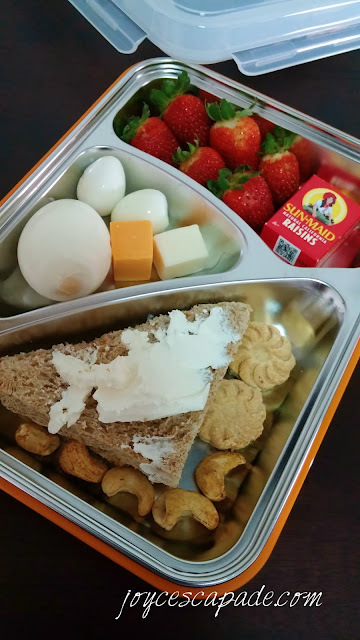 In the largest compartment, I prepare an open-faced sandwich with natural cream cheese, whole-wheat cheese biscuits, and roasted cashew nuts. In the slightly smaller second compartment, I prepare hard-boiled chicken egg and quail eggs, and assorted Cheddar cheese cubes that I cut from a bigger block. 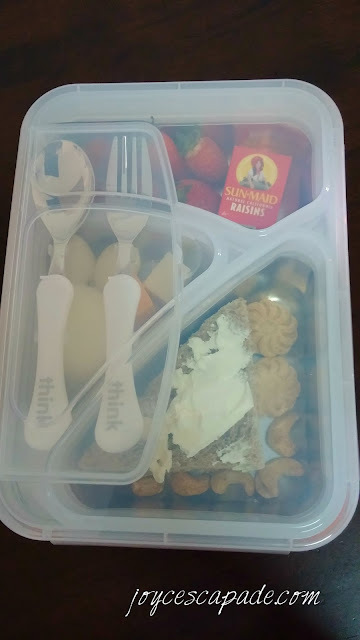 Lastly, in the last compartment, I prepare fresh strawberries and a tiny box of raisins. Such hearty and healthy breakfast! Eh, I should have added some greens! Okay, close it up. I shake the box and true enough, nothing get mixed up. See my toddler's precious reaction when he sees the box. Boy: Wah, mama, nice present! What is this box? Me: It's breakfast? You want to eat? Boy: Yes! I want to eat breakfast. He gets pretty excited with the new fork and spoon and starts digging into his food. First thing first, cream cheese! ...and finally, he decides to poke the biggest egg with the fork. 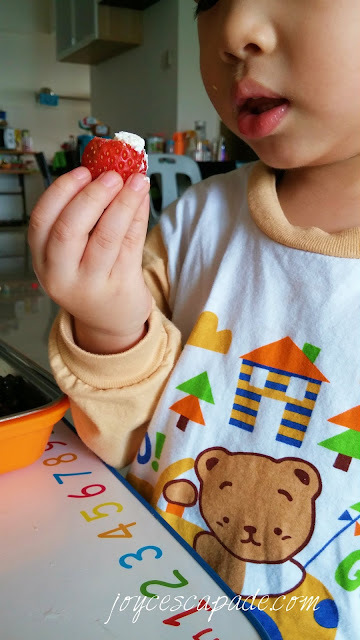 And of course, strawberries dipped in cream cheese. 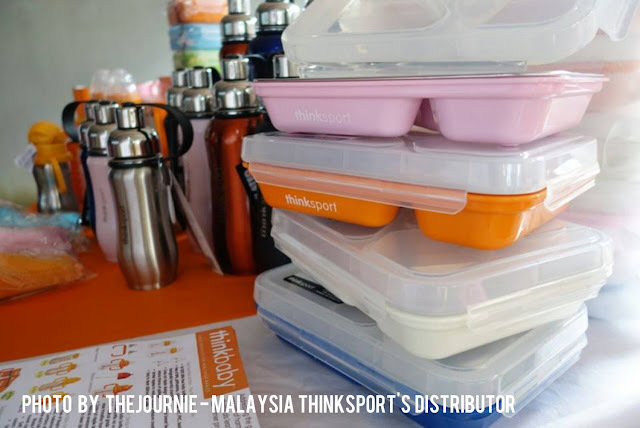 Journie Marketing is the authorized distributor for Thinkbaby & Thinksport. For more info, email them at thejournie@gmail.com. 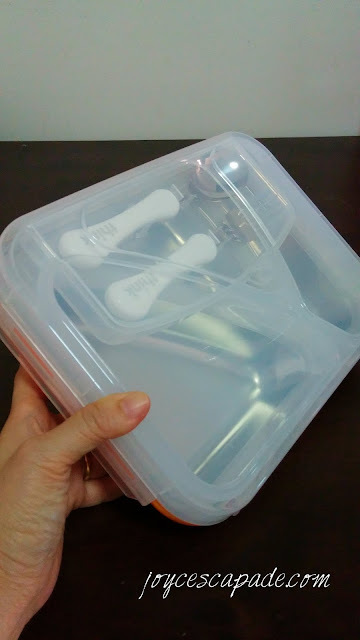 I mention above that GO2 Travel Container is free from phthalates, BPA, BPS, PET, lead, melamine, nitrosamines or biologically harmful chemicals. Why and how? Thinkbaby and Thinksport is founded in 2006. 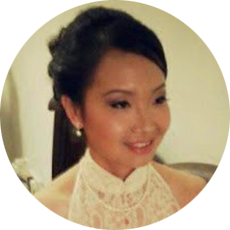 Founder, Kevin Brodwick brought his interest in health and preventative medicine and his background in biotechnology together to form a company whose sole purpose is to create alternative products for little ones to adults. 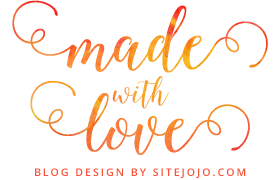 Thinkbaby and Thinksport products address the growing concern of toxic chemicals leaching from consumer products. Research has linked many chemicals in common use, including Bispenol-A and PVC, to cancer and developmental disorders. 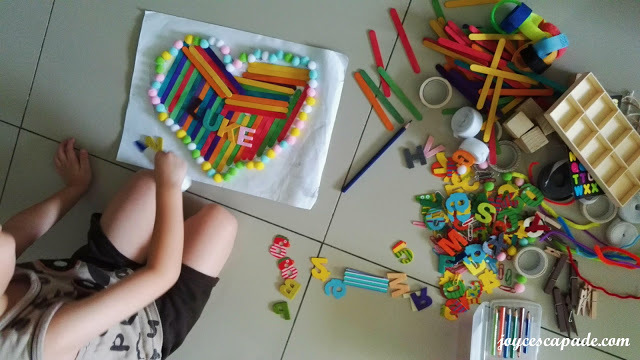 They understand that keeping ourselves and our children safe and healthy is becoming increasingly challenging when it comes to products that we interact with. 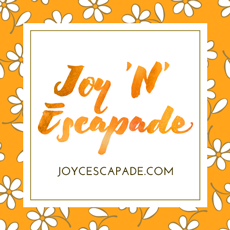 Their mission is to deliver products specifically formulated to be free of harmful chemicals. 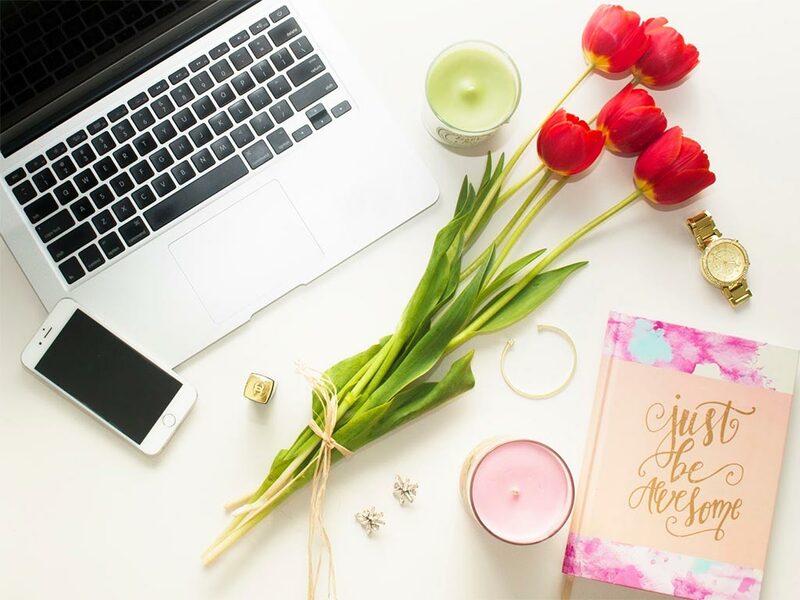 Quoting Thinkbaby and Thinksport, "Our mission is directly inspired by those little hands that wrap around our baby bottles. The health and safety of children isn't just a powerful source of motivation at Thinkbaby, it is something we consider a responsibility." Find out more about them on their website and Facebook page. 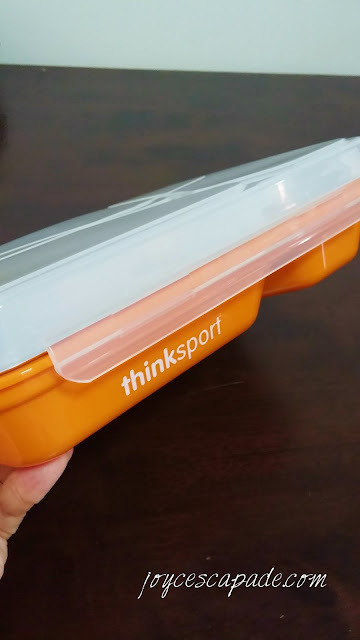 Note: The Thinksport GO2 Travel Container is sent to me by Journie Marketing for review purpose. All opinions are my own. Nice travel container. Love the colour and the seperate compartment in the container. I definitely like the inner stainless steel plate. Keeping the food warm is a must! I like the layout of the container. It's look very convenient. 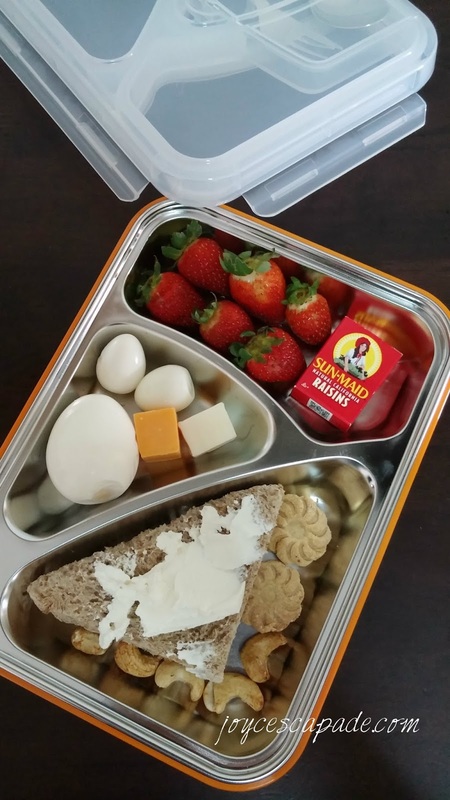 Same goes here, i like the lunchbox. It is nice to put healthy food inside it too. The container looks sturdy and good enough to be brought everywhere. And good for portion control so like you said, won't overeat hehe. This is one container I would love to have... it looks so nice and neat and even have cutleries stored !! 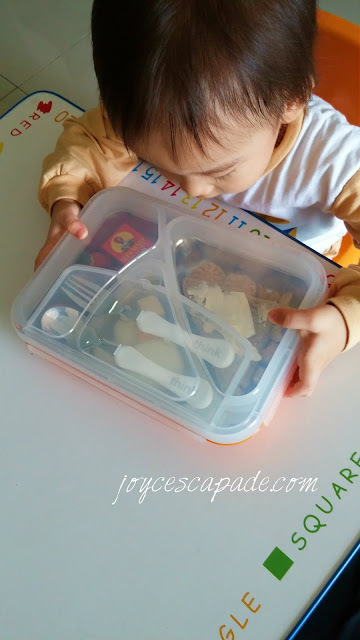 I love to have this container lunch box! Super convenient and neat to have the dish separate too. I like this travel container so that my foods are well organised during travel period. 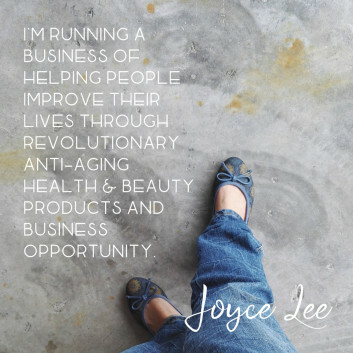 I simply loved this product and its design. It is free of BPA adds value to it. The container is good as it cut with cutlery. I think I will get one for myself. I like this lunch box, it comes with the stainless steel inner layer. That helps to keep the food warm and also safe. 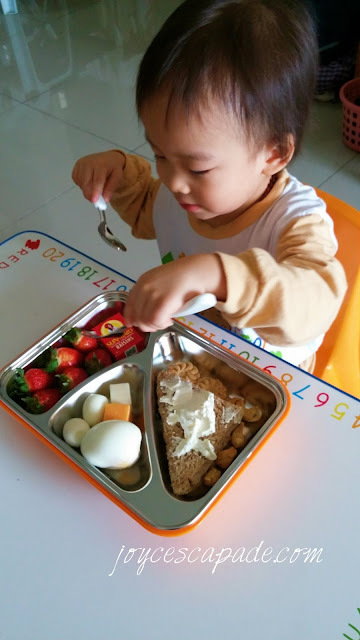 Actually stainless steel is the best for food as it keep food warm during the school hours for kids. great for the kids.. easy storage and all. That actually looks super cute! I may need one too! :D So convenient to have the ork and spoon in the container.